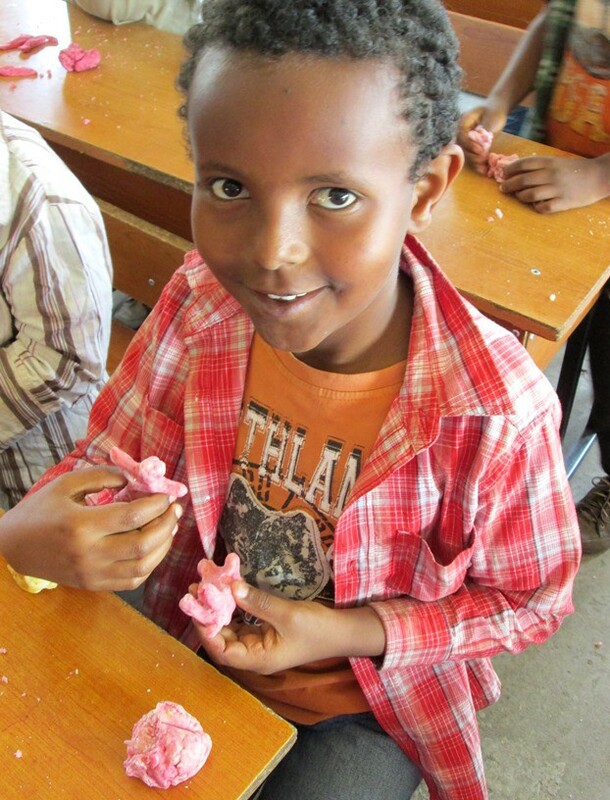 We brought in December in Ethiopia with lots of happy children! 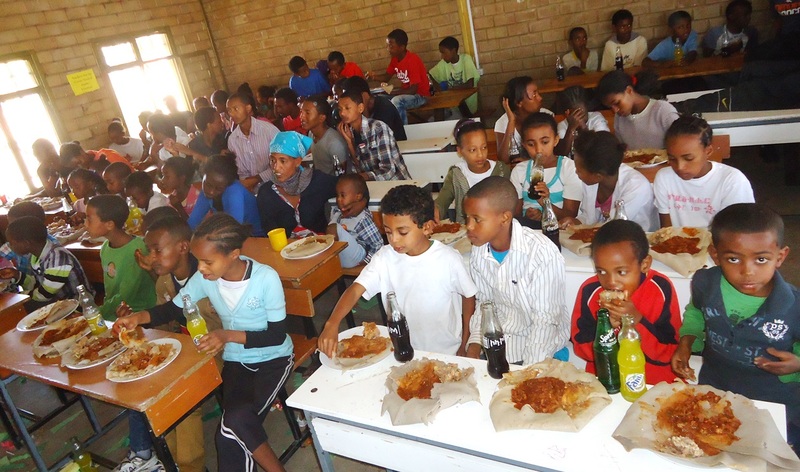 December Activity Day was a huge success and the children had a fun time as we filled not only their bellies but their hearts. The day started off with a prayer of gratefulness and singing praise and worship. 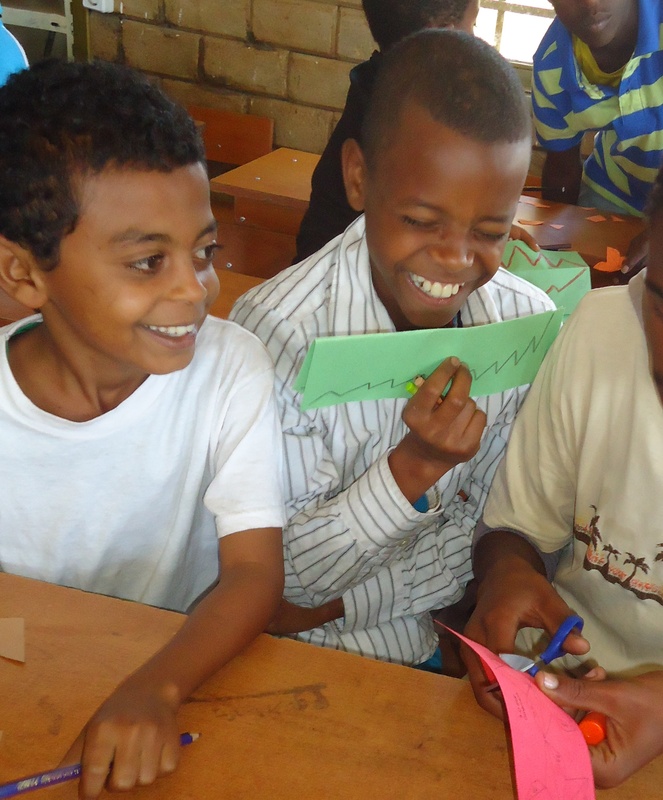 This was followed by Jamie, a long term missionary, teaching the children how they are new creations in Christ. After Jamie’s message the children split off into two groups, the older group heading over to the BCI Academy library to watch “God’s Not Dead”. 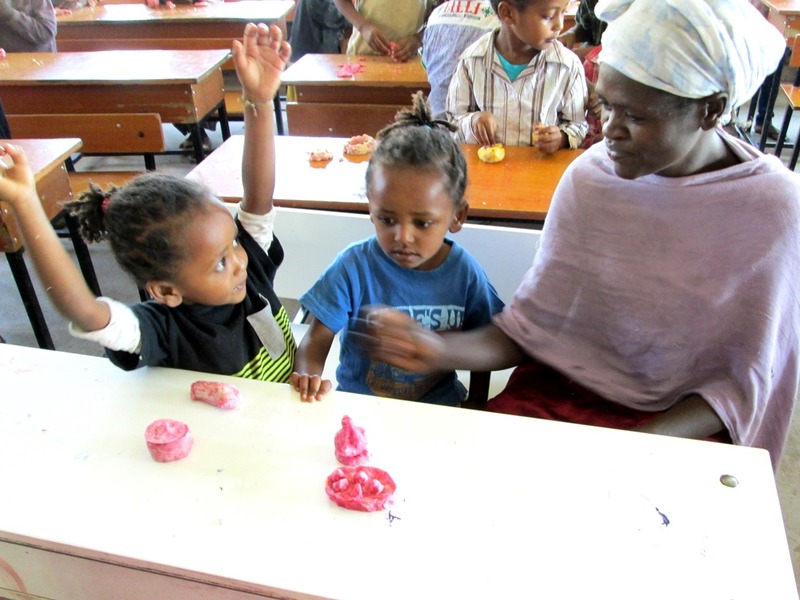 The younger children stayed in the cafeteria for a new craft by Canadian missionaries – homemade play-doh! 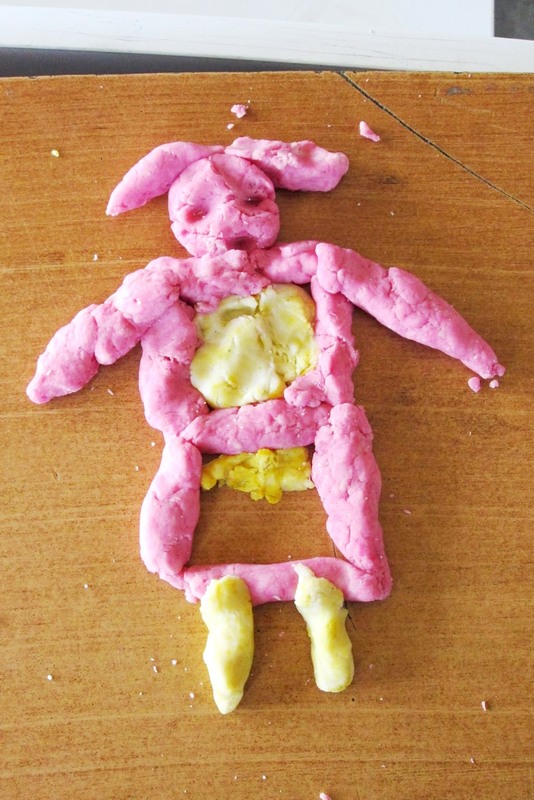 The play-doh was made ahead of time and the looks of excitement and curiosity on the children’s faces when it was handed out was priceless. 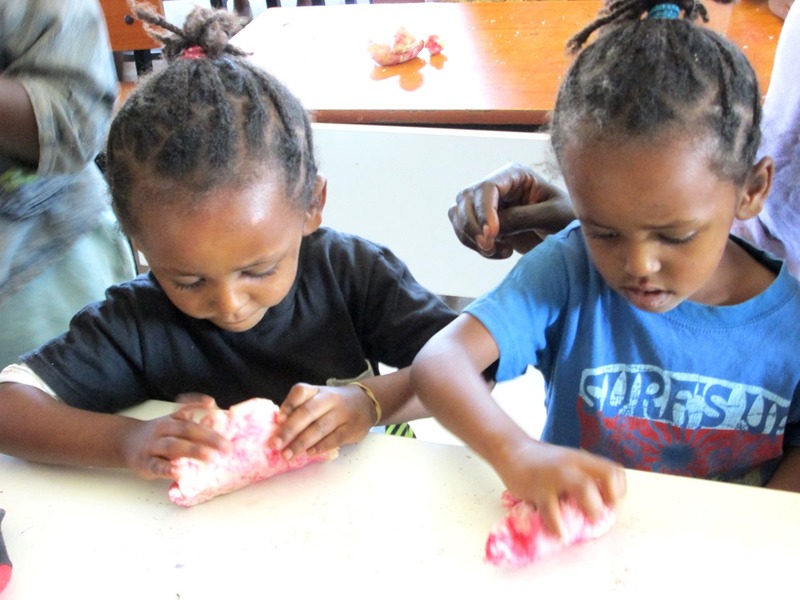 The children were given a choice of red or yellow dye to color their play-doh and had the option to add glitter to make it sparkle. Once we explained to them that it was not food, we let them start creating and watched their imaginations run wild. It was a sight to behold! 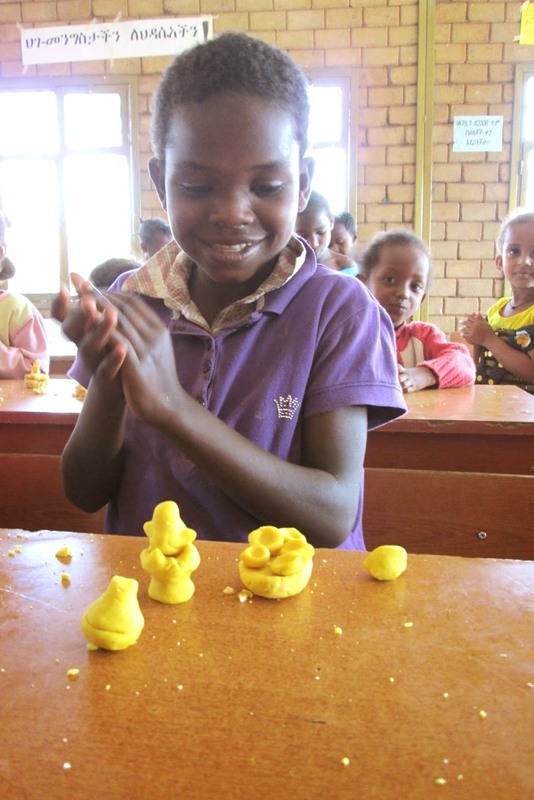 Nearing the end of our craft time, we took the opportunity to share with the children about how God works in our hearts and makes us new, just like they are making new creations out of their play-doh. 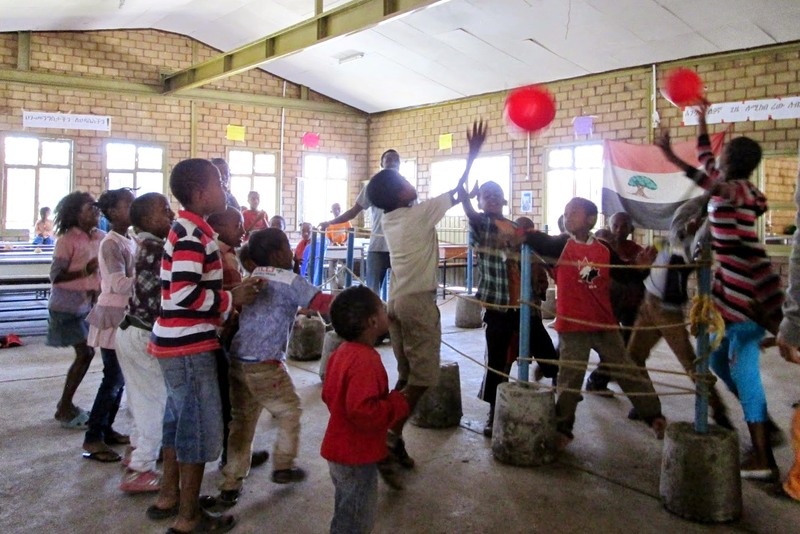 The kids wrapped up making their creations and were taught a new game – balloon volleyball! The new game was also a huge hit with the laughter and delight continuing on until the movie was over and the noon meal was ready. 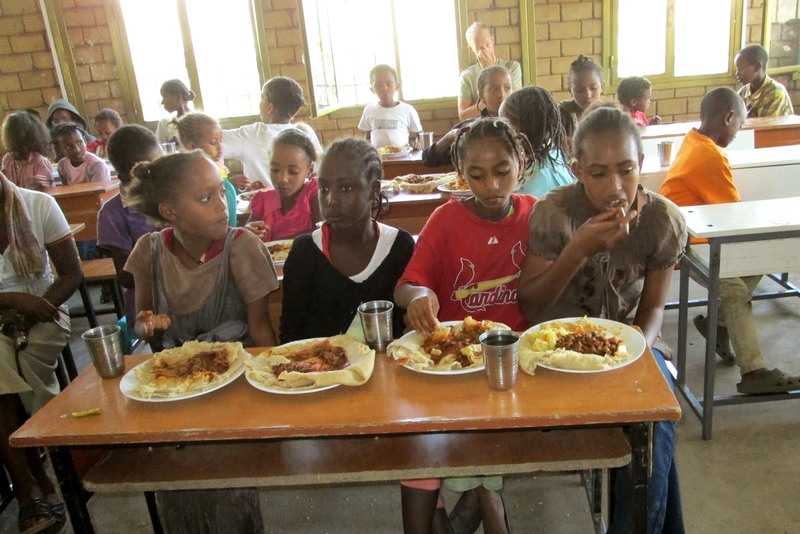 After all the little stomachs were full, the children were taken home via the BCI Academy bus. We want to say a huge thank you for making days like this possible through your generous support. 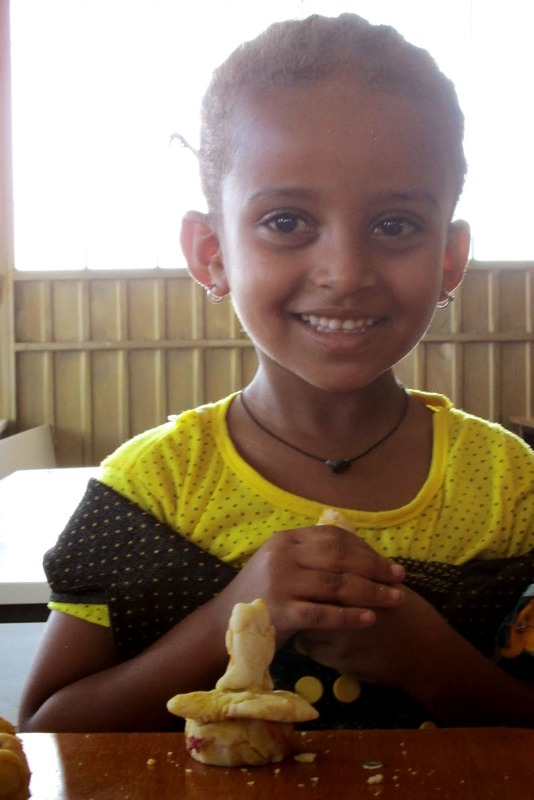 We are grateful for the opportunity to partner with you in changing lives in Ethiopia. 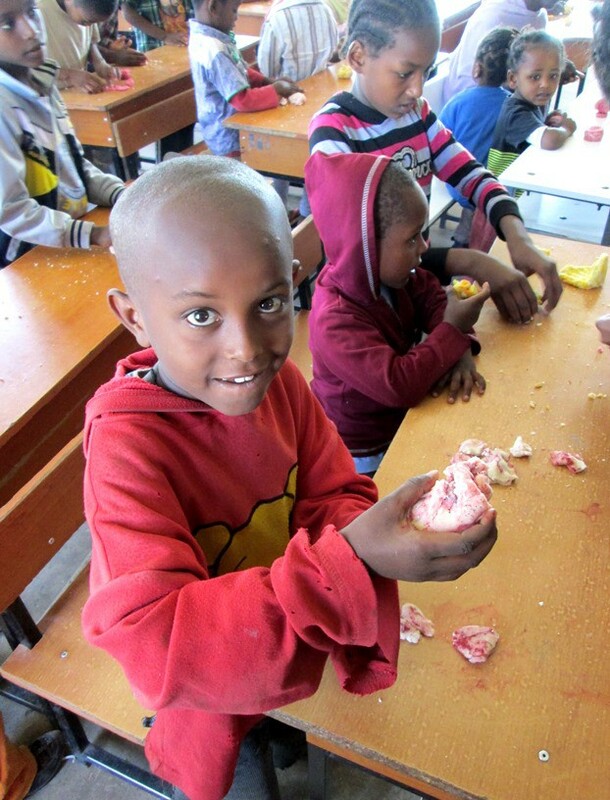 Because we share your passion for helping the poor and orphaned children of Ethiopia, who could never repay your generosity, we want to invite you to partner with us this Christmas season. Johann Wolfgang von Goethe says it best, “You can easily judge the character of a man by how he treats those who can do nothing for him.” Perhaps this is why James 1:27 says, “Religion that God our Father accepts as pure and faultless is this: to look after orphans and widows in their distress…” As you selflessly help the children and families in Ethiopia, you are changing lives and being an example of pure religion at work. 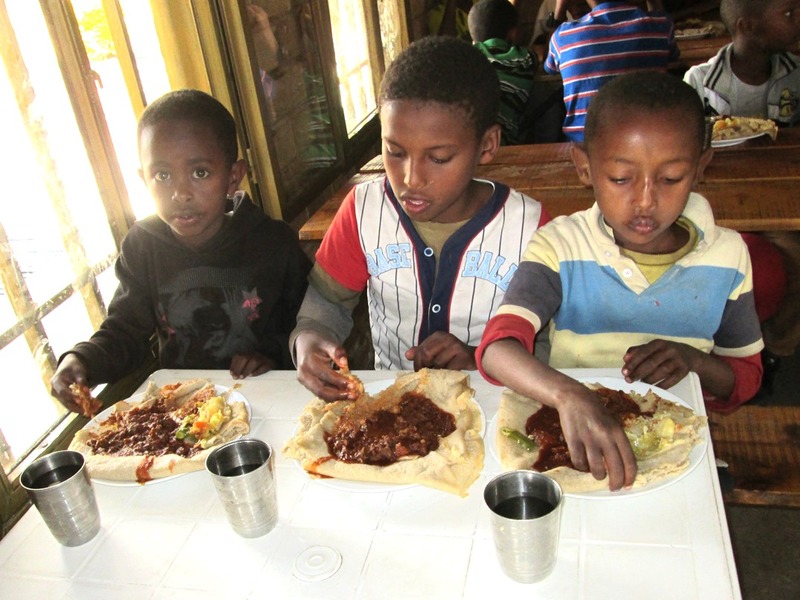 Delicious Meal – of traditional Ethiopian foods. Small Gift – for each child open. Games – to bring fun and laughter. Songs – to celebrate the birth of Christ. Craft – for the children to make something with their own hands to give as a gift. The celebration wouldn’t be complete without a play/skit put on by the children for the children, remembering the reason for the season – Jesus! We can’t do this without your help. To host the Christmas celebration we are praying for, it would cost about $16 per child, with the majority of that to buy the children a gift. We currently have 195 children now in our sponsorship program so to provide this special day for the children we need $3,120 by Friday, December 5th. Would you consider giving something extra this holiday season to bring a little joy to the children in a third-world country? You may wish to give $16 and cover the cost of one child… or perhaps you have been blessed and are willing to support several. Either way, you’ll enjoy your Christmas all the more knowing you made a difference in the life of someone who could never repay you. 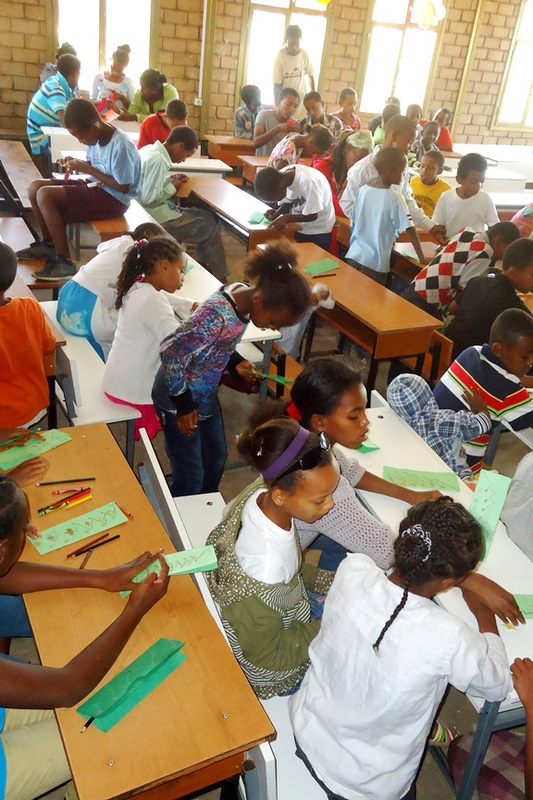 We invite you to join with us this holiday season to give a special Christmas to the children in Ethiopia.